We are engaged in manufacturing high quality tested Measuring Rotameters that are tested for their efficiency and utility in various applications in different areas. 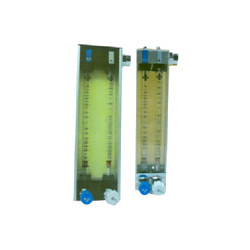 This instrument is used to measure the rate of flow of liquids or gases in closed tubes. These are available in various specifications and can be customized as per the requirements of the clients. These are accessed by our clients at affordable prices. Looking for Anesthesia Rotameters ?